The kit went together easily. 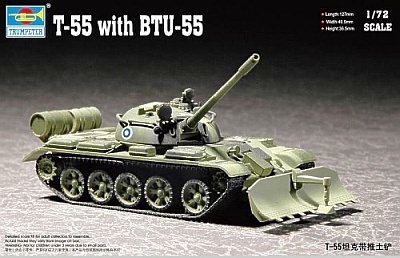 There are no open hatches or anti-aircraft gun for the kit. 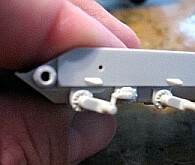 The different versions offered need holes in the upper hull opened depending on which kit you are building. The sprockets are detailed and don't need any drilling. The tracks, well the tracks will take the most planning. They would not respond to model glue or Loctite Super Glue Gel. So, I used the track joining method of over 20 years ago and carefully heated a small screwdriver blade to melt the small pins and "blend" the track together into one piece. Less heat is better. 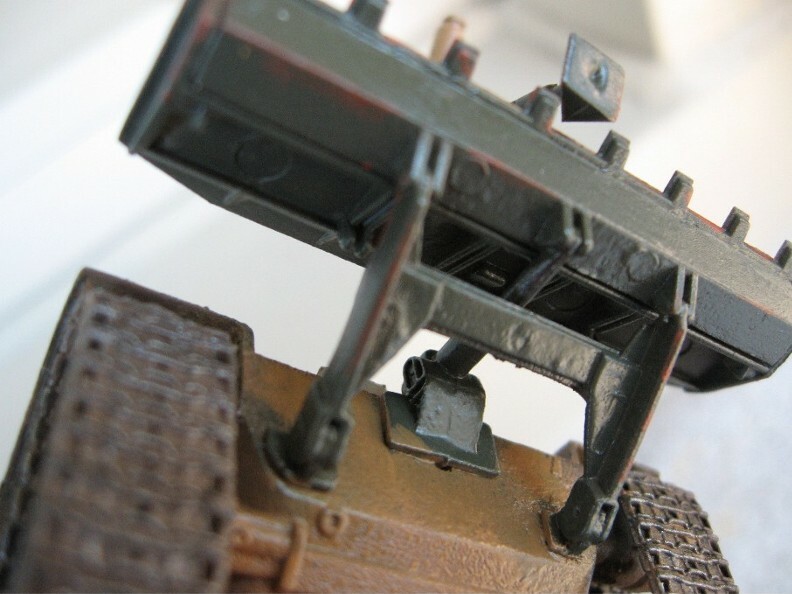 The tracks were put on the model and blocks of styrene were used to hold the tracks to the wheels while the superglue that I applied dried. Seems track to styrene works, but not track to track. 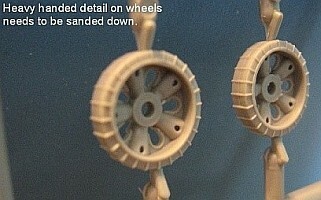 As mentioned elsewhere, the road wheels have heavy-handed detail. This will need attention with some sandpaper to make more realistic. I think the plow is over-simplified. I think there should be some attachment points near the top and you can see where something might have been placed, but was left off for simplicity? Decals are useless to me. Finnish markings and something else. 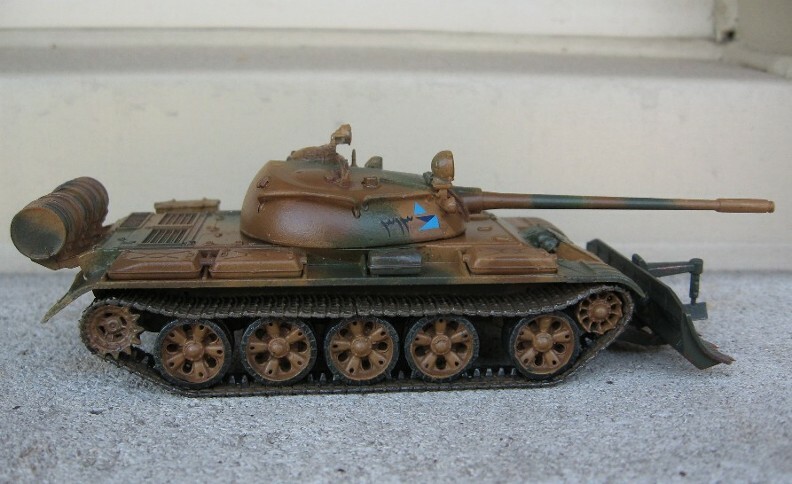 I used Egyptian markings from the Revell M60 kit number #3140. Paint is Gunze. 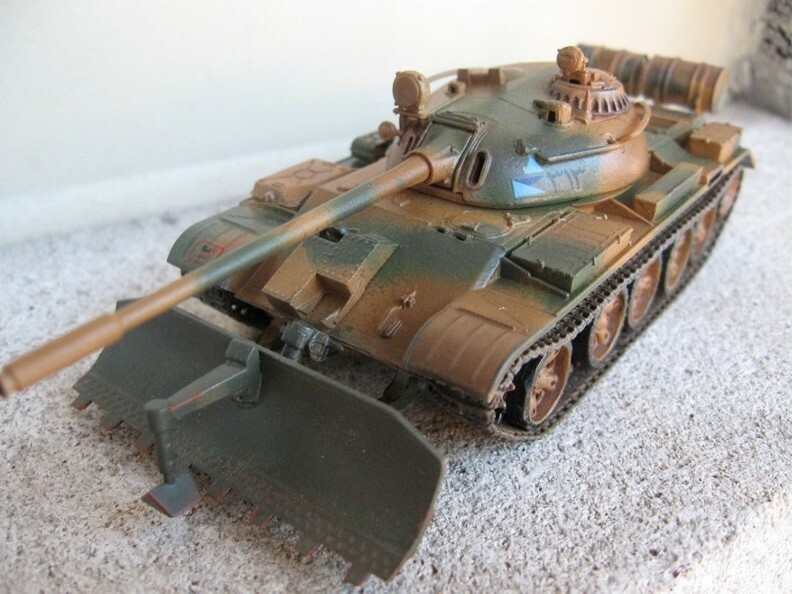 As for some self-criticism, I think I would use a lighter over-all color so the two-toned cammo would show slightly better, and maybe a light coating of dust overall.